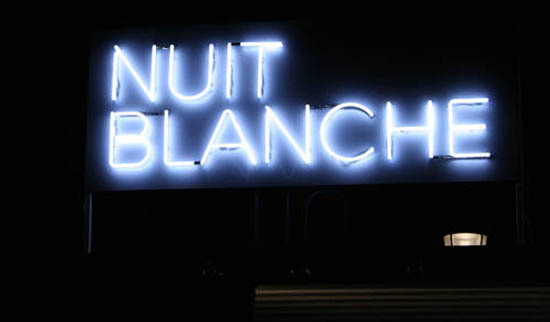 Nuit Blanche returns to Toronto this Saturday with it's all-night contemporary art displays and installations around the city. The free event begins at 6:55pm and can be enjoyed until sunrise. Be sure to catch the Renegade parade down the streets and alleys of Yorkville, Toronto. This mobile rave begins at the ROM at 10:00 pm and carries on until 5am the following day. Dress warm because last year was freezing. There is so much to see, do and experience during this amazing night of art discovery. Be sure to plan ahead and pack in everything you can.